from earlier this year here. She speaks about gender balance as a priority. It may be a case of too little too late in terms of reputation over this issue, and the agency is still however not responding to AdNews requests for further explanation or involvement, although CEO Pete Bosilkovski appears to have spoken to News Corp.
Off the back of the Leos controversy, female creatives united to form the Unfkable global alliance, which aims to get clients contacting them in order to work with female creatives. Leo Burnett is currently the AdNews Agency of the Year and Bosilkovski was profiled in the 30 October issue of the print mag. Does Leo Burnett deserve the backlash over its all white male creative team? 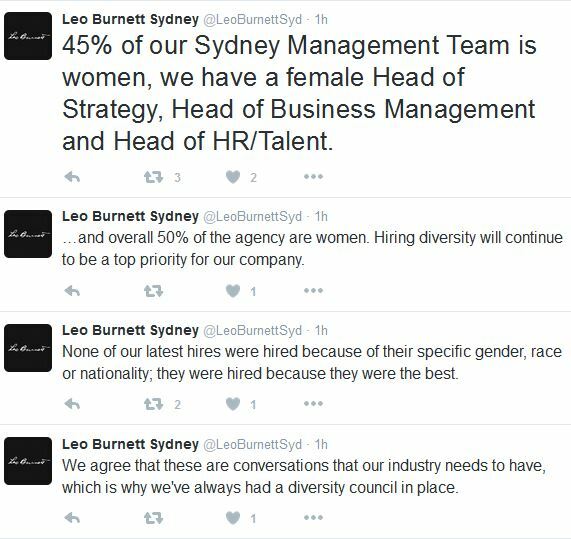 After nearly a week of saying nothing, Leo Burnett Sydney has finally used Twitter to speak out about diversity in response to the gender-equality fire-storm it has been at the centre of this week. Earlier this week Leos made an announcement about five new creative hires. All of whom were male. After people took to Twitter highlighting the lack of gender diversity and calling out Leo Burnett, the story has engulfed the industry with it being discussed both on and offline. After declining to comment to any media this week, Leo Burnett Sydney has today used its Twitter account to tackle it now that the story has reached the mainstream press and broken beyond the trade media. A series of tweets explain that the recent hires got their jobs because they were the best. And also to emphasise that it does have women in creative and senior roles. It says 45% of its leadership is female, including Melinda Geertz, CEO of Leo Burnett Melbourne. 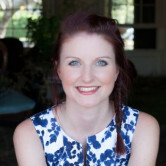 Read a Q&A with Melinda Geertz from earlier this year here. She speaks about gender balance as a priority.